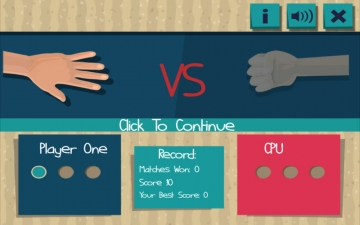 Rock Paper Scissors | Mac App Storeのアプリ検索・ランキング BuzzMac! 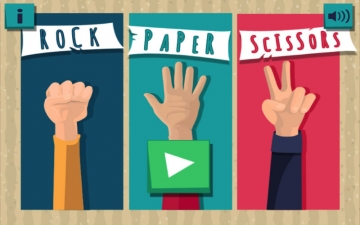 Rock, Paper, Scissors (aka "Ro-Sham-Bo", janken, "Bato, Bato, Pick" and "Scissors, Paper, Stone") is a simple hand game that is played around the world, with many different names and variations. It is commonly used as a way of coming to decisions, and in some cases is even played for sport. The rules require that competing players use one hand to form one of three shapes at an agreed-upon time. 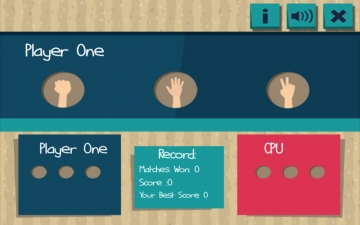 The person that plays the strongest “object” is the winner of the game. It's that easy! These shapes are "rock" (a simple fist), "paper" (a flat hand), and "scissors" (a fist with the index and middle fingers extended, forming a V). 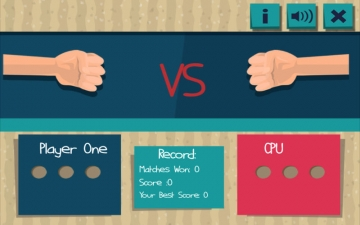 A zero-sum game, it has only two possible outcomes other than a tie: one of the two players wins, and the other player loses. 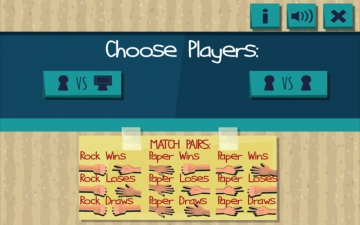 With Rock Paper Scissors ® you can challenge the unbiased AI (computer mode) or against your friends (friend mode). No internet connection required and no ads guaranteed. Enough talk already, let's play!